Alpha Moving & Storage uses modern, state of the art technology, for every move. Everyone has heard the nightmare stories about movers taking off with people’s furniture. Let Alpha Moving & Storage prove to you that we’re different. Just check out our BBB rating and our testimonials over 20+ years of service. Serving Howard Beach, Queens, Alpha Moving & Storage has a fleet of trucks equipped with GPS units, to ensure proper drop off locations, no hidden fees, and a professional staff. We are completely transparent every step of the way, and have services customizable to your needs. We offer full and partial packing, local and long distance moving, residential and commercial moving, storage, and more. Alpha Moving & Storage is fully licensed and insured to provide local and long distance services in New Jersey and New York. Our trusted professional movers are prepared to help your move go smoothly, and incident free! 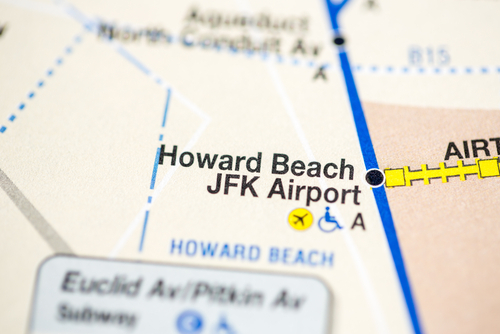 Whether Howard Beach is your new home, or the home you’re leaving for a new start, Alpha Moving & Storage is a great option to get you where you’re going. We are proud to be punctual, polite, and professional from start to finish. Our movers are glad to explain the moving process so you can ensure your items are safe and in good hands before we ever start moving. Our goal is to make sure our customers are satisfied with our service, like our many customers of the past. Alpha Moving & Storage is a reputable and recommended by the great people of Howard Beach. We are licensed and insured and offer packing services to ensure the protection of your goods. We pride ourselves on fast and efficient moving services. Our fleet of trucks are equipped with state of the art equipment and GPS to ensure the correct location for drop off. Our movers are always on time, and available to be called up at the last moment. Call us or fill out our form above for a free, no-obligation quote for our affordable prices with no hidden fees or charges. Our movers are incredibly transparent throughout the entire process and happy to explain the entire process start to finish. Alpha Moving & Storage is here to meet your personalized moving needs, so contact us today!